Today’s customers expect fast, personalized service. But how do you meet customer expectations when you’re clicking through multiple screens to find the correct information, manually combining reports and managing a distributed workforce? Cloud integration can help. 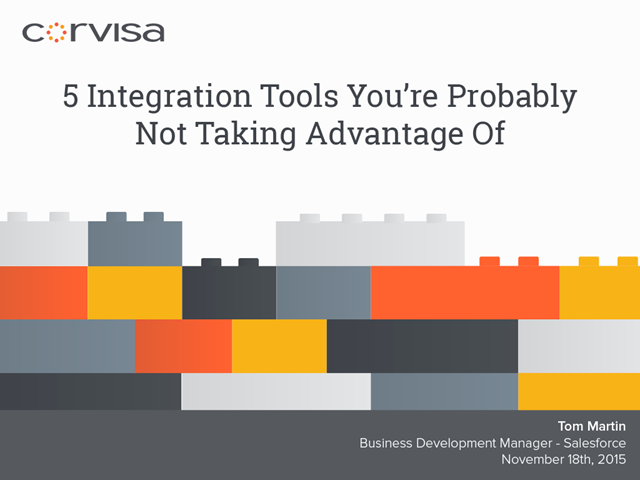 Register for our webinar to learn which integration tools you should be leveraging to take your customer experience to new heights and give your business a competitive edge. Are you communicating with your customers the same way you did 5 years ago? As technology evolves, so do your customers’ communication preferences. The customer service industry has seen a significant increase in SMS (aka texting) due to its ability to deliver convenient, proactive service for today’s on-the-go customer. Register for our webinar to learn how SMS technology can help you lower wait times and keep your customers informed. With multiple options for communication solutions and providers, it’s hard to determine the right one for your business. Many times, businesses end up conforming their processes based on the limitations of their software, making management and user adoption a challenge. So, how can you find the right phone solution for your business and ensure that it will last? Learn how Platform as a Service (PaaS) offerings can pair with cloud communications solutions to help put you back in control of how your processes work with your software. Dealing with multiple vendors is a huge drain on time for business owners and managers. Finger-pointing between vendors, patchworking systems together only to have functionality still fall short and diluted strategic visions are some of the downfalls companies experience when they work with multiple vendors. Predicting and quickly adjusting to changing customer needs and service expectations is challenging for many businesses. Join us as we share insights on identifying common hurdles businesses face when predicting their customers’ needs, proactively keeping your business ahead of the curve, and determining the right technologies for your business. The cloud offers a multitude of options for integrating systems but successful integrations hinge on having smart, thorough business processes in place. Fortunately for today’s contact centers, process and technology are more connected than ever which can do wonders for productivity, training, customer service and more. Customer expectations are higher than ever and if your phone systems aren’t setting you up to meet and exceed those expectations, you’re likely losing out on key opportunities.